The times are changing and so is the box-office dynamic of cinema. Directors of today’s time are making brave choices; they are introducing the audience to an amazing cinematic experience. Back in the 1980’s, Bollywood was known for its “Silver-Jubilee Club” and in today’s time it has transformed its name to dynamite “100 crore club”. A recent released movie “Stree’ has managed to cross 100 crores and is winning hearts all across the India and worldwide. Stree stars Rajkumar Rau and Shraddah Kapur in the lead, and the genre of the movie is a mixture of horror and comedy. Bollywood have not produced movies with horror-comedy genre as often, Bhool Bhulliya and Golmaal 4 are the only two successful movies of this genre. Stree has set a supreme example of excellence and glory, it has been made with a budget as low as 20 crores but in terms of profits it has become one of the finest movies. Success of Stree indicates how time has changed, audience show their verdict in favor of the movies that are rich in content and connects with masses. Bollywood is on the verge of breaking stereotypes, today the directors and producers are courageous enough to work with young actors and helping to promote the young talent. Rajkumar Rau is one such actor who has set an example of sheer commitment and hard work, it goes without saying that Stree is a complete Rajkumar’s movie as he depicts how his acting craft is being drastically improved. For all the people who wish to have a joyful cinematic experience and are looking for “value for money’ movie, then Stree has definitely everything to offer. 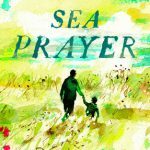 “Sea Prayer” by Khaled Hosseini: Book of the Month? 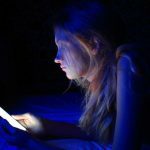 Is The Blue Light From Your Phone Damaging Your Eyes?